What is a Digital Barcode File? A crucial component of precise digital barcode artwork is “bar width adjustment” (BWA), which compensates for gain/reduction occurring in the printing processes. This fine tune adjustment is only possible with a high-resolution image. A barcode image file which does not account for BWA will not print accurately for most print technologies. By design, low resolution files are unable to incorporate this compensation factor. 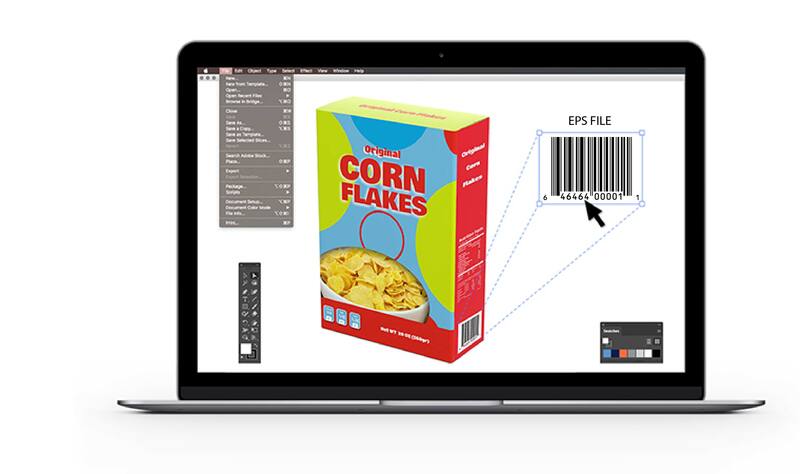 High resolution digital barcode files can be immediately generated online 24/7 and are compatible with Adobe Illustrator, Adobe InDesign, and many other programs. Bar Code Graphics has been creating precision barcode artwork since the U.P.C. symbol was born in 1974. Original barcode artwork took the form of a photographic negative, which required manual positioning and paste-up by graphic artists. With the advancement of desktop publishing, barcode artwork moved to a digital form. 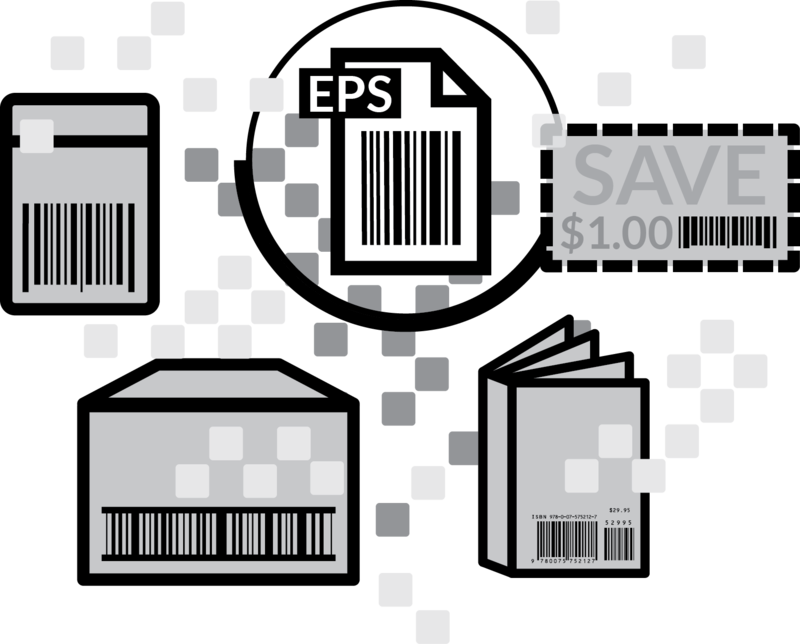 In order to preserve the necessary precision required for barcode artwork, barcode graphic files must be in a vector based format, such as .eps (encapsulated postscript). In addition, bar code graphic files must include “bar width adjustment” factor to account for bar growth/reduction during the printing process. 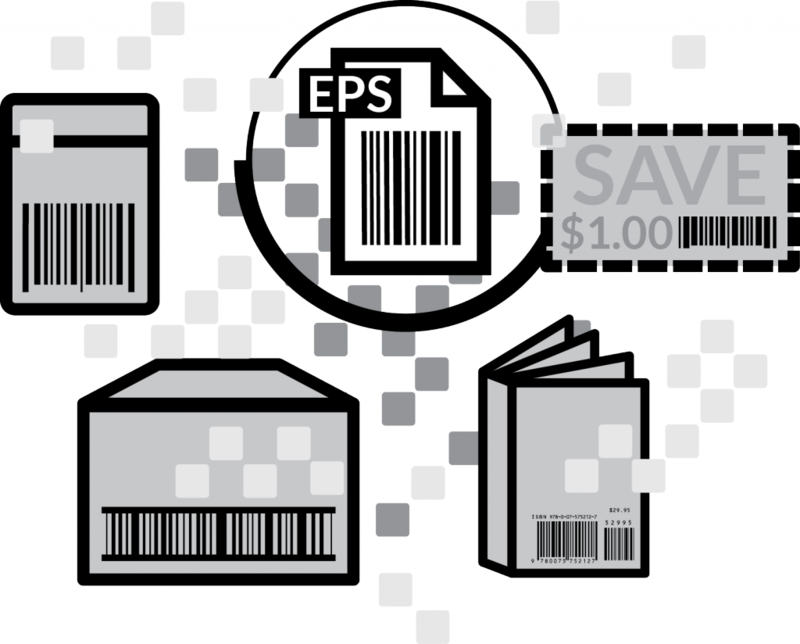 Today, over 80% of the Top 500 Consumer Goods and Medical Device Companies rely on our graphic barcode files for their product, coupon and carton barcode markings. Barcode graphic files can be immediately generated online 24/7 and are compatible with; Adobe Illustrator, Microsoft Word, Adobe InDesign, and many more. Digital barcode files can be downloaded from our online portal or emailed at CreateBarcodes.com. Customized barcode generation web services are also available.